What's the reason for requesting this ship? : As a Jedi Knight and Master he had recently flown an X-wing. Unfortunatley, the thing was getting very outdated but Athanasios liked older models. Luckily, the B-wing, which was a perfect challenge for good pilots like himself, wasstill being widely used. The ship was a good model, had existed for many years, and would be a great challenge. What do you intend to do with it.? He intends to use it for transport and space combat. Like all other B-wings this one come with the maximum weaponry available. 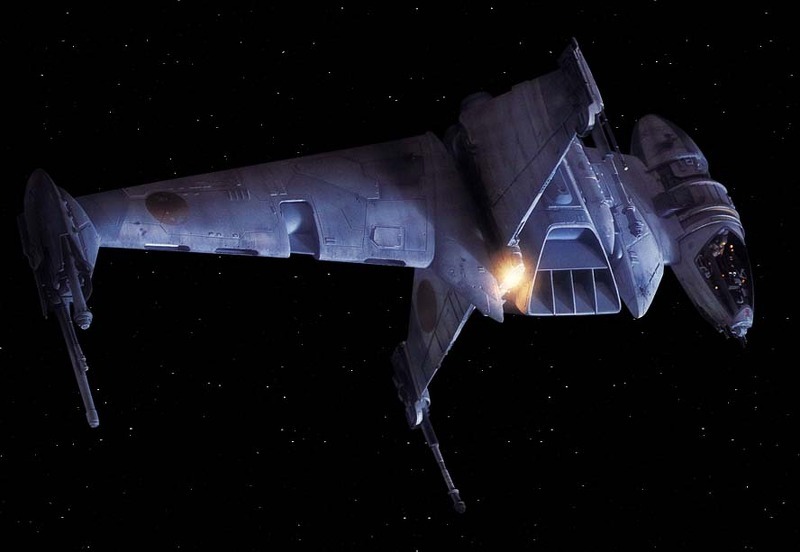 Like other B-wings it has three ion cannons, two proton torpedo launchers, one laser cannon, and two auto-blasters. Give us a prove, we will need one to accept your money(Credits on the republic planets. ): 220,000 Credits in total that the Jedi Master had been saving for about five years. He is buying the ship new and will spend a good amount of time working and taking care of it.